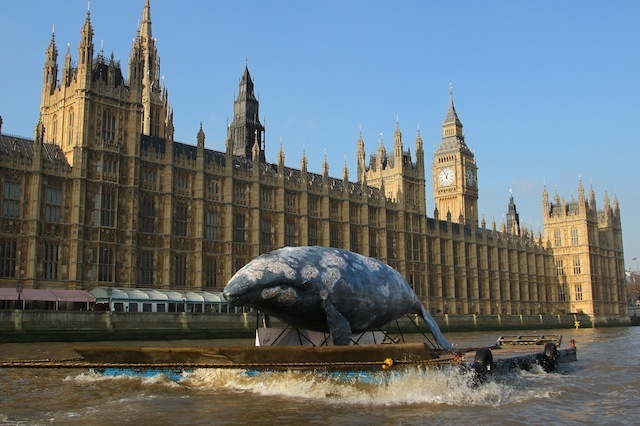 Massive fake whale spotted in the Thames, part of a WWF campaign to save the last 130 western gray whales. Another alleged racist ranter on public transport is arrested. Dame Shirley, Sir Paul and Sir Elton headline the Queen's Diamond Jubilee concert. There's a ballot for tickets. TfL announce first 500 junctions to be reviewed for cycle safety. A scrap dealer financies replacement plaques for a vandalised war memorial. Olympics tickets to be printed in Arkansas of all places.